The Kentucky Derby is upon us. While I’m sure you’ll all be doing your cultural duty and enjoying the fastest two minutes in sports while nursing a glass of bourbon, you could take your fandom one step further with Woodford Reserve’s Kentucky Derby commemorative bottle. Every year for the past 18 years, Woodford Reserve has commissioned an artist to paint the label for a limited edition bottle of bourbon. The artwork for this year’s bottle was created by Thomas Allen Pauly, the official artist of American Pharoah, the Triple Crown winner. Did you know some horses have their own artist? 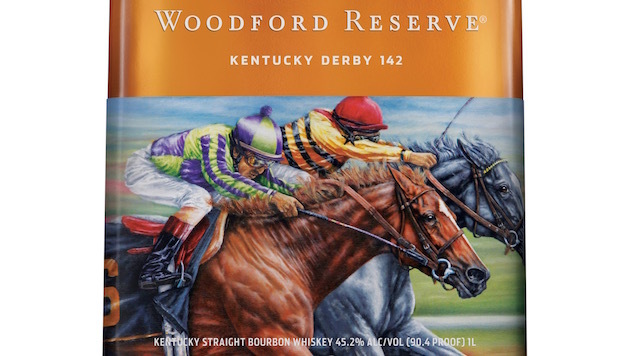 Check out the gallery for photos from recent Woodford Reserve Kentucky Derby bottles.